Ziad Ismail has been with Convoy for about two years and had previous experience at companies such as Microsoft. Three years ago, the company Convoy was founded with the goal of using technology to provide an Uber-like service for booking on-demand freight shipments. Investors like Jeff Bezos and Waymo-parent Alphabet have invested in the company, which recently surpassed $1 billion in valuation. 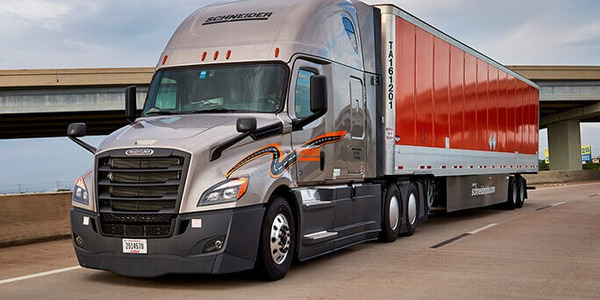 HDT Editor in Chief Deborah Lockridge checked in with Convoy to see what the company is working on now and interviewed Ziad Ismail, chief product officer. This interview has been lightly edited for length and clarity. 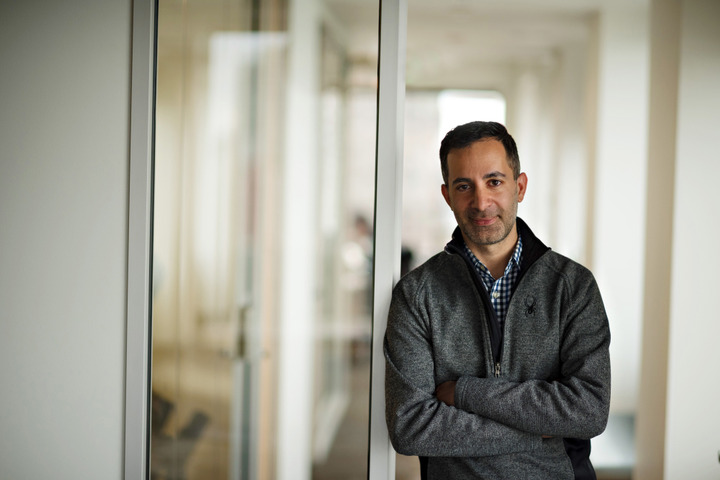 HDT: Ziad, what do you do as chief product officer at Convoy? Ismail: Essentially what my team is focused on is where we should be investing, where we think the future is, what problems we should be solving, and what solutions we should focus on and getting those to market. HDT: Let’s start with a basic description of what Convoy is and how it works. Ismail: Convoy is a marketplace where we connect truck drivers with shippers. We’re a marketplace that was built from the beginning using technology. For truck drivers, they don’t need to call any people. They use an app, and we get lots of jobs [loads] available on our marketplace, and get better and better at recommending the right jobs to the right driver. They can select a job, upload the bill of lading, and get payment, all through the app. They spend less time searching for jobs and more time making money. On the shipper side, shippers can get things like a real time price quote, and they get tracking of the freight all the way through. HDT: When you say truck driver, are you talking about a single-truck owner-operator, or do you get into larger fleets? Ismail: When we first started. we started really with the smaller truck drivers that have the hardest time getting access to the best freight and to large shippers. That was the biggest disconnect we saw: How do large shippers get access to the small carriers and owner-operators, say 10 trucks or less? But what we’ve noticed over time is both our existing smaller trucking companies are growing with us and we’re getting mid-size trucking companies joining the marketplace as well. HDT: What prompted Convoy's founding? Ismail: CEO Dan Lewis and CTO Grant Goodale were the two founders. Dan had some experience in trucking, so while he was working at Amazon, he was looking at what is the next big market that is going to be hanged dramatically by technology. And the more time we spent looking at trucking, the more we realized it was ripe for disruption. You've reached the point where all the truck drivers have smartphones, so you can deliver the intelligence of a technology-driven solution to every driver out there. We defined the mission for the company as using all that technology to kind of drive the industry to reduce waste. We saw technology would be about being able to reduce waste for shippers and truck drivers. HDT: Where do you see yourself in the market related to competing companies? Ismail: It’s a really big market. The U.S. freight market is about a trillion-dollar business, and there are about 15,000 brokers, so it’s hyper fragmented. So we don’t’ spend a lot of time on competition. If you built a $10 billion company you’re still only at a 1% share. Having said that, I think we knew from the beginning if we were successful we would get competition both from large incumbent technology players as well as the large incumbent transportation players. The fact that they have kind of followed our path doesn’t surprise us at all, and if it hadn’t happened, it would probably be a sign we weren’t doing the right things. HDT: Who are some of your major customers? I know there was a major deal announced last year with Anheuser-Busch, and Unilever the year before. Ismail: Our growth comes from two paths. Each year we’re acquiring new shippers. You mentioned Anheuser-Busch and Unilever; we’re working with more and more of the Fortune 500 companies that are relying on Convoy. And in addition to that, within existing accounts, they see we’re not just another broker. That leads to them growing their business with Convoy year over year. We have a mix at this point of large Fortune 500 companies as well as small and mid market companies. The small and mid-market companies, we can give them tools and they can self serve, and the large customers we have an account team that works with those customers. HDT: What challenges have you faced in getting the industry to adopt this technology? Ismail: We have what I think are very ambitious plans for what we do with the company, but you want to enter an industry so you aren’t starting in a way that’s hard for existing players to adopt. So we fit into the way the industry works today [with RFPs, the spot market], so it’s easy for a shipper to think of Convoy as a broker. But because we use technology, we can do certain things faster, cheaper, and offer higher quality. Over time they can start adopting things that are unique and different. An example would be, we launched a power-only program about a year ago where we basically enable really large companies that have drop shipments; those traditionally haven’t been accessible for non-asset carriers. We figured out a way to make the economics work to put a trailer pool in place and one that's open to any type of carrier, whether they have trailers or not. That was kind of a much deeper change in the business model. HDT: How has that trailer pool been received? Ismail: The way we’ve measured that is with geographic footprint and response from shippers. We’ve expanded nationally with that program; we started in a couple of states initially and we’ve expanded the number of customers. We saw a gap in the market. We saw the market was excluding most of the capacity in the industry and it was locking out some of the best jobs for carriers to access and locking out a lot of capacity. So our hypothesis was if we fix this market gap we can get shippers higher quality level and access to much more capacity, and the carrier base should be excited, because there's typically less loading time and waste with drop shipments. And both those have turned out to be correct. HDT: In September, Alphabet led a $185 million investment round in Convoy, bringing the total raised to $265 million and a company value of $1 billion. For those of us who aren’t steeped in the investment world, can you tell us what that means, especially for truckers? Ismail: This was the third round of financing for Convoy, and it was a significantly larger round than the prior round. We think we have a model that works really well for the industry, and our outside investors are kind of a good reality check. They look at what we’ve accomplished over the past year and hear what drivers and shippers are saying and they believe there's a better way to operate. It means we’re accelerating the company. Two years ago when I started we had about 30 people; now we have over 300. We can innovate faster, expand into other markets faster. It means we now have more jobs available, more data available, so we get all these gains for the shipper and the trucker side. HDT: You’re using part of that money to set up shop in Atlanta, across the country from your Seattle headquarters. Why Atlanta? Ismail: We started the company here in Seattle. Seattle is a great place for technology talent; we have two of the three largest companies here, with Microsoft and Amazon. But we have lots of customer headquarters on the East Coast, so we want to be closer to our customers, in the right time zone. Atlanta happens to be also a great place for talent. HDT: What are some of the other developments/initiatives from the past year you’d like to highlight? Ismail: I work on the product side so maybe I can talk about some of the most exciting things we’ve done for truck drivers and shippers. On the truck driver side, the thing we get the most positive feedback on is automated detention. If you ask truck drivers what they hate most about their experience, it’s when then arrive at a job and they’re delayed for multiple hours, which potentially causes them to miss their next job. So the broker ends up hassling them and eventually don’t pay them the detention. So one of the teams I’m responsible for is focused on how do we get carriers and truck drivers to love working with Convoy. When we survey drivers, detention is at the top of the list. What if we could get rid of the detention process and make it automated? We know when a driver arrives, we know how long it takes to load, so we can automate the whole thing and get rid of the paperwork. Now it's not as easy as it sounds; every shipper has its own set of rules, so there was lots of work to make it happen. But today we have the majority of Convoy’s shippers are using this. That’s been probably one of the most magical customer experience things we’ve been able to do for truck drivers so far. We have a couple other things like that in the works. And on the shipper side we talked about the power-only program. That one has forced Convoy to think hard about how we get into assets. We were kind of managing bits [of data] and not physical assets. It took roughly a year before we announced it, and we see now that other companies are starting to follow our lead. HDT: So how do you handle the trailer pool? Ismail: It's a really hard problem, but it’s fundamentally a kind of data science optimization problem, which our team does really well. The fundamental thing you’re trying to do is maximize trailer turns, so those things are harder for humans to do that for computers. I think you’ll find our approach will be a lot more efficient than the traditional asset-based carriers. For the first year we’ve leased trailers, and we’re looking as we’re scaling up whether we should purchase trailers as well. HDT: Any hints on what are you working on next? Ismail: We started announcing some of the direction we’re going. Maybe the way to thing about it is the first phase of a lot of innovation was based on how you build a more efficient marketplace, but we noticed there are lots of situations where shippers don’t have transparency into what’s really going on, so it’s hared for them to differentiate if Convoy has higher service levels, because they can’t really measure it. So what we’re trying to do is help shippers get better transparency into everything that’s happening in their supply chains and expose a lot of the data modules directly to shippers. So we started with the release last week announcing the Convoy Shipper Platform 2.0. It gives shippers direct access to Convoy’s data and models. The Market Outlook shows shippers current and future trends by region. The Lane Network gives shippers real-time data about changes in their most important lanes. Essentially we built a bunch of models that predict the future of pricing, and we share with shippers what’s going to happen in the marketplace not just numbers, but also why we think that’s happening. There are a bunch of innovations like that we're doing for shippers, and on the other side, we’re going to make it easier and easier for truckers to find their next job. HDT: Anything else you’d like our trucking audience to know about Convoy? Ismail: The industry is starting to embrace technology and technology companies like Convoy, and it’s really exciting. I think things are starting to change; I think when we started Convoy it wasn’t as apparent that was going to be the case. Different industries hit these technology inflection points at different times; it’s clear for trucking that point is right now. It started two or three years ago, and it’s just going to accelerate.